Disk Cleaning Software enables you to easily, quickly, and safely wipe all erased files and folders from hard disk drive and USB flash removable storage media. Disk Cleaning Utility permanently cleans traces of internet activities including temporary internet files; typed URL, history, cookies etc supporting Destructive and Non-destructive wiping mode. Hard disk data eraser tool completely removes your deleted information from hard disk or removable storage media like PenDrive/ZipDrive/JumpDrive etc by wiping all the data and ensures that erased data will never be recovered even data recovery software. The data including entire disk data or selected files and folders can be wiped using two modes viz. Destructive and Non-Destructive mode. ◆ Secure disk eraser tool permanently wipes unused disk space from hard disk, already deleted multiple files and directories, private contents and confidential data from hard disk as well as USB flash removable media drives. ◆ Non-destructive mode will delete or cleans all links to recently open documents, started programs, search results that your computer stores, traces of various application files like Microsoft management console, power point, access, word, excel, paint, media player and WordPad, clipboard contents, administrator’s temporary files, system registry traces and windows event log. 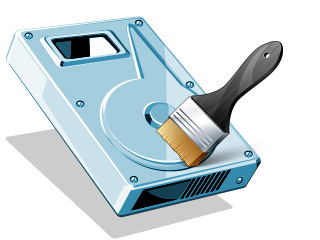 ◆ Destructive mode wipes (saved or unsaved) data from the disk space using Entire Disk, Sector Range and Sectors in Partition for system re-installation and improving system performance. Disk eraser tool provide user friendly graphical interface for easy understanding of the software supporting Windows 98, ME, XP, 2000, 2003, NT and Vista operating system. Secure data erasure tool eliminate traces of application deleted files like Microsoft management console, power point, access, word, excel, paint, media player and WordPad.